Where do you have the most honest and lively discussions? 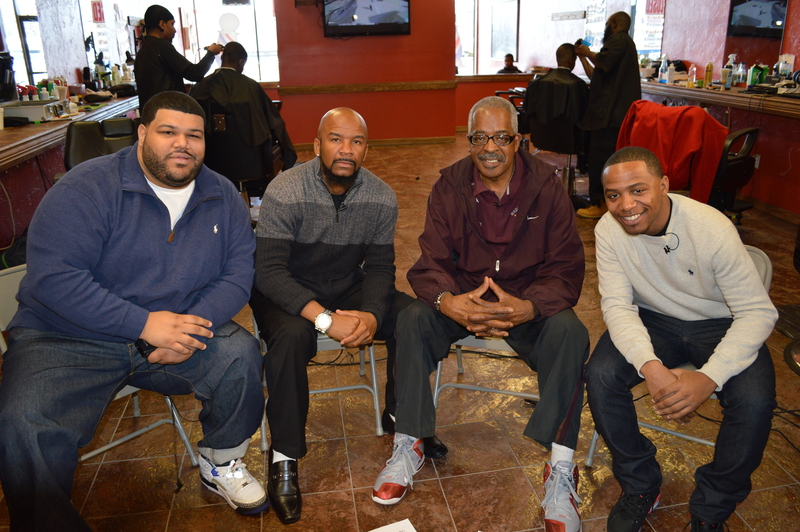 The Barbershop! Noube Productions for this documentary has decided to have their narration scene at Cultural Cuts in Brockton located on 725 Belmont Street. We gathered four great people who have all played sports in the inner city to talk about their struggles, successes, and how to overcome the temptations the inner city brings. Thank you to Coach Dennis Wilson, Marcel Smith, Darius Heywood, and Dan Martinez. 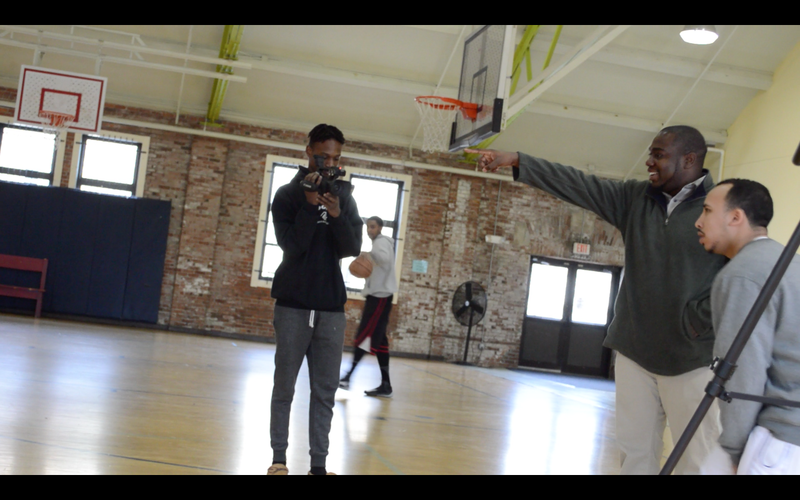 The next Noube Production “Out Of Bounds” sports in the inner city directed by Noube Rateau & William Medero filmed the opening scene this past week. This short film will be the introduction to the hour long documentary that will investigate the atmosphere of inner city sports. What separates Noube Productions from others is the ability to think outside the box. We incorporate spoken word, short films, and music videos to emphasize the reality of the documentary. This opening scene involved over 30 people with everyone serving a key role. Special thanks to Patrick Lys, Aaron Thibeault, Jason Crosby and production assistants Bradley Souffrant, King Branch, and Mario Larmarre.